If you’re considering a new SUV, then you’ve probably already realized the market is jam packed with choices. And choices certainly aren’t a bad thing, but narrowing them down sure can be tedious.  So Team Ford is going to help with that. This post covers the 2018 Ford Explorer vs. Expedition in Edmonton, discussing the details distinguishing these models from one another. Roomy, comfortable and safe; a ton of cargo space; and bigtime towing capabilities. This is what you’re getting from either of these models. What it means for you is virtually no restrictions when it comes to transporting the kids, their friends, and your extended family throughout Edmonton. There’s a ton of room for their sports equipment too. And beyond city limits, there are a ton of possibilities here too, as both these SUVs absolutely have the ability to tow your biggest trailers. Safety and security are priorities with the 2018 Ford SUV lineup. And just because these two particular SUVs are the larger ones loaded with features, it doesn’t mean fuel efficiency is compromised. You’ve got a powerful engine here, and it might be just what you need for your family life. The 3.5L Ti-VCT V6 engine (2.3L EcoBoost® I-4 engine available) is operated through the 6-Speed SelectShift® automatic transmission. You’re getting a nice 290 horsepower and 255 pound-feet of torque here, so winter weather will be a breeze. And at 12.6 L / 100km combined fuel economy, as determined with Transport Canada methods, you’re getting quite the efficient machine here. With the Ford Expedition, you’re getting one of the most powerful SUVs on the market, making it one of the most versatile, too. The standard 3.5L EcoBoost® engine is paired to the 10-speed automatic transmission with Selectshift® capability, and Hill Start Assist™ along with Hill Descent Control™ are standard features. With 400 HP and 380 lb.-ft. torque, it’s this kind of power that sets apart the 2018 Ford Explorer vs. Expedition in Edmonton and the other SUVs out there. Towing is something this SUV does especially well with the Trailer Sway Control feature with the Expedition. We’re expecting the 2018 Ford Expedition in Edmonton this winter season, and the 2018 Ford Explorer as well, but in the meantime, we’re clearing out our inventories of 2017 models. Take a look in our inventory of 2017 Ford Explorer models for sale in Edmonton, or our inventory of 2017 Ford Explorer models in Edmonton. And to ask us whatever you please about either model, we encourage you to contact our Sales team at 587-524-1525 to have any questions answered.